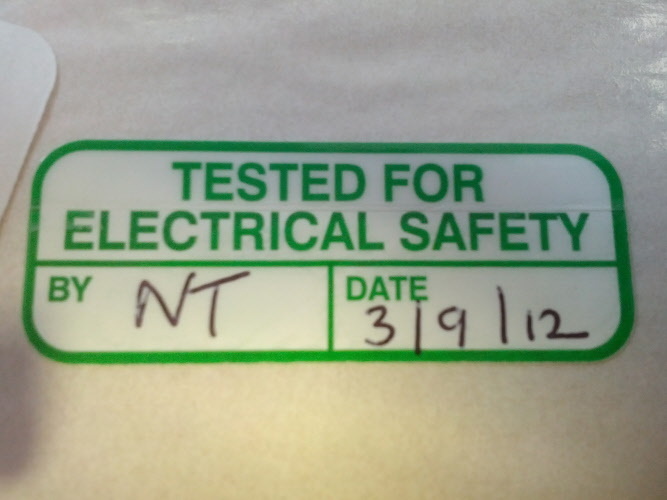 All equipment that has been Tested and Inspected must be clearly marked. 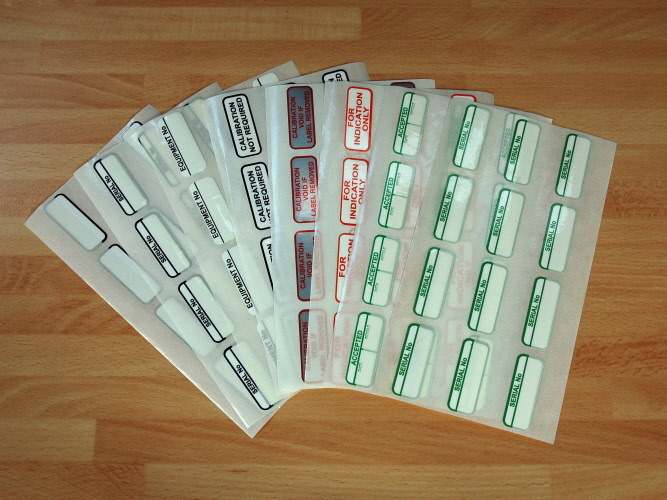 This is achieved by labelling the equipment with a PAT Test label. 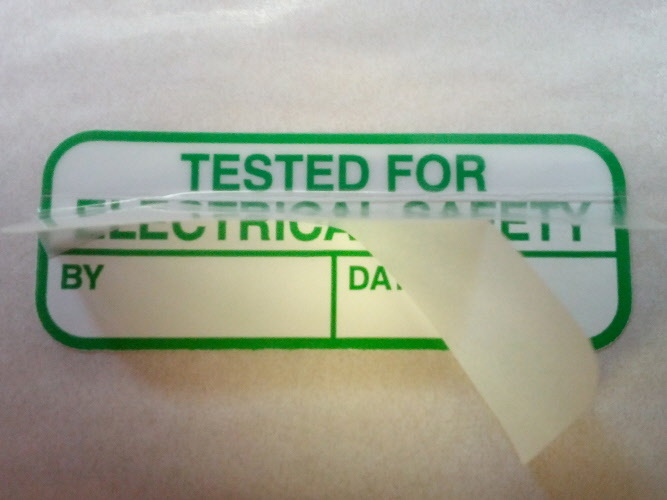 The label must contain the status of the equipment following the testing ie. 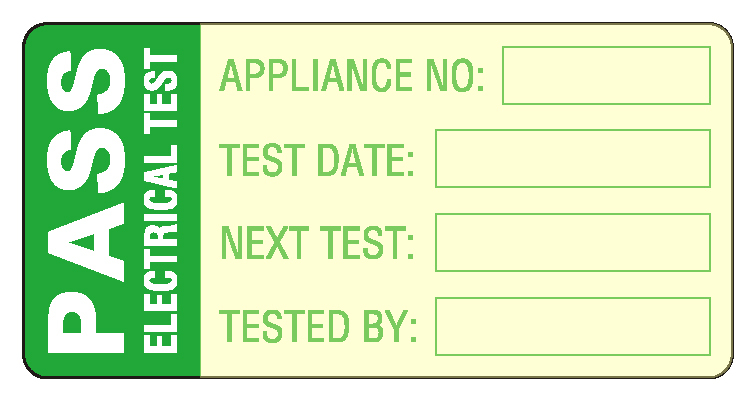 PASS or FAIL and date the equipment was tested together with the re-test period or the re-test date. 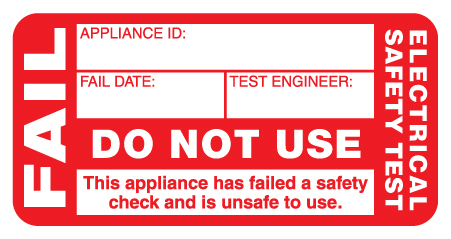 This information is designed to enable the equipment to be easily identified to a non-technical user if the equipment is due for re-testing or should not be used. 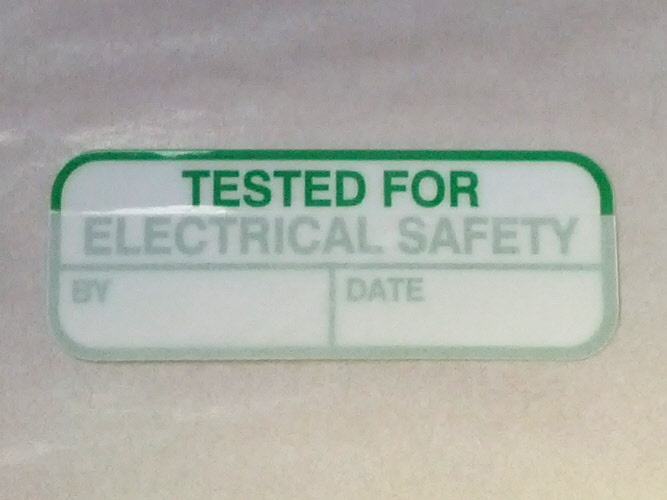 Wording - " Electrical Safety Test - Passed "
Wording - " Electrical Safety Test - Fail "
Wording - " Pass Electrical Test "
Wording - " Tested "
Wording - " Tested For Electrical Safety "
Wording - " CTL Passed Electrical Safety Test "
Wording - " Passed Electrical Safety Test "
Wording - " Tested For Electrical Safety"
Wording - " Next Test Due "
Wording - " Failed "
TEL: 01384 264700 | FAX: 01384 264729 | EMAIL: sales@componenttestlabels.co.uk.